P&L is calculated on basis of 1 lot per call. Total profit (Rs.42,901). 1 call is on hold and Nifty short as hedge. Subscribe today to our PMS service. Calculation of P&L is done on basis of 1 lot per call. Total profit (Rs.9.260). 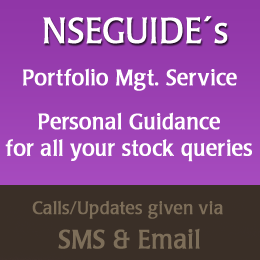 Calculation is done on basis of 300 units per call for stocks above Rs.100 and 500 units per call for stocks below Rs.100. Subscribe today to our PMS service. Calculation is done on basis of 300 units per call for stocks above Rs.100 and 500 units per call for stocks below Rs.100. Subscribe today to our PMS service.